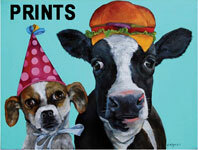 In October 2013, Dana Ellyn began her newest painting project. 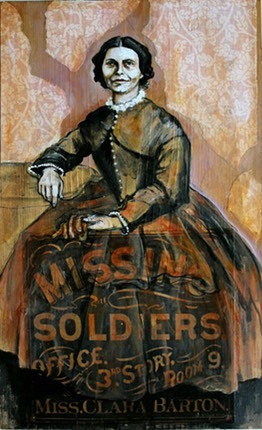 She is using the Cultural Tourism DC Neighborhood Heritage Trail guides to inspire a new series of paintings. 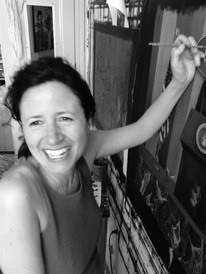 Ellyn will create a painting for each stop on the trails, creating a visual history of Washington’s most fascinating moments. 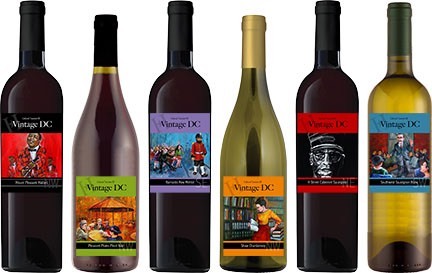 Dana Ellyn has partnered with Cultural Tourism DC to create this beautiful set of 6 bottles of wine called Vintage DC. 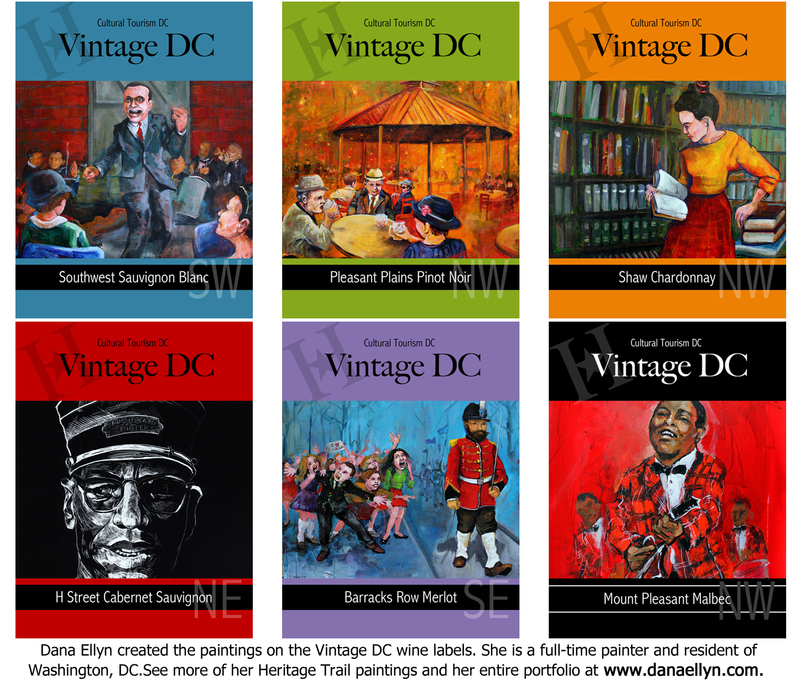 Click image below to view larger version of all 6 wine labels. 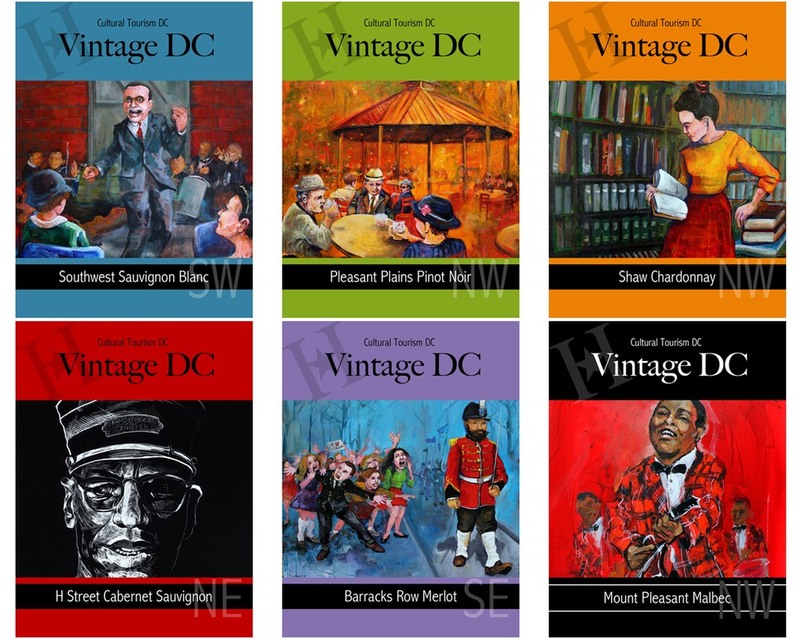 Cultural Tourism DC develops and delivers authentic experiences that provide people with opportunities to learn about the District of Columbia’s distinct neighborhoods. We give residents and visitors many opportunities to do this—they can walk along the city’s still-growing list of fifteen DC Neighborhood Heritage Trails, take part in guided tours of the city’s historic neighborhoods during WalkingTown DC, experience arts and culture during Art4All DC, and engage with the city’s international diplomatic community at Passport DC. These signature programs encourage residents and visitors to explore the city, propel the local economic prosperity, activate their own creativity, and become civically engaged.